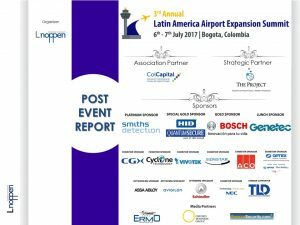 I would like to express my gratitude for your participation in Lnoppen’s “5th Latin America Airport Expansion Summit”. It was a great pleasure meeting you at the conference, and seeing the vibrant interactions that took place on site. We were honored to host parties flying in not only from Latin America but also from Europe and USA, to discuss the current situation how we can work together to create a beneficial future for the airport industry in the region. During the conference, over 27 eminent speakers shared numerous presentations with the delegates and provided during 1 discussion panel the most valuable insight and opinions to answer questions regarding the industry. Both domestic and international experts evaluated current conditions, analyzed strengths & weaknesses and emphasized opportunities to develop the market further. I would like to start by thanking our Chairmen for chairing this conference. Their presentations and insights spoke to the heart of the main issues facing the sector and their eagerness to build the industry is commendable. Last but not least, I want to thank all our sponsors: PPG, Genetec, NEC, Bosch, Construlita, Cyclone, Matec, Designa, Ikusi, ASC, Ocem, Gemalto, HOG Technologies, Schindler, Ultra Airports, Manusa, Dormakaba, LS Telcom, Vanderlande, Flite Line, Hitzinger, United Technologies, Telnorm, ADB Safegate, Generac, Informatica, OAG, TAM, Dorlet, Power Stow for their contributions to the event. Again, thank you for your valuable participation, I have no doubt that your presence and involvement directly contributed to the overall success of this meaningful event. We will keep you abreast of our upcoming industry events and I am earnestly looking forward to meeting with you again. 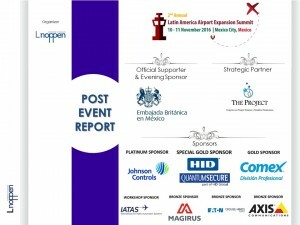 I would like to express my gratitude for your participation in Lnoppen’s “4th Latin America Airport Expansion Summit”. It was a great pleasure meeting you at the conference, and seeing the vibrant interactions that took place on site. We were honored to host parties flying in not only from Latin America but also from Europe and USA, to discuss the current situation how we can work together to create a beneficial future for the airport industry in the region. During the conference, over 25 eminent speakers shared numerous presentations with the delegates and provided during 2 discussion panels the most valuable insight and opinions to answer questions regarding the airport industry, as well as the financing of the airport projects. Both domestic and international experts evaluated current conditions, analyzed strengths & weaknesses and emphasized opportunities to develop the market further. I would like to start by thanking Aerolineas Argentinas for their support as Official Transporters of the event. Furthermore I want to thank to our Chairman Alejandro Di Bernardi – Aeronautical Engineer for chairing this conference. Last but not least, I want to thank all our sponsors: Nuctech, Sherwin Williams, HID, Johnson Controls, NEC, PPG, Genetec, Matec, Ulma, Custom America, Cyclone, Movexx, Everis, G4S, Securitas, Dahua, NVT Phybridge, Otis, TAM, OAG, Cavotec, VMI, Herman Miller, Pivot 3, Vanderlande, Geci Group & Vision Box for their contributions to the event. During the conference, 29 eminent speakers shared numerous presentations and their visions with the delegates regarding airport planning and development, airport security, operations and technology. Both domestic and international experts evaluated current conditions, analyzed strengths & weaknesses and emphasized opportunities to develop the market further. I would like to start by thanking “The Project” for rejoining this year as Strategic Partner as well as ColCapital for being our Association Partner. Furthermore I want to thank Carlos Luque Hidalgo, Airport Operations and Air Navigation Consultant, Peru and Gonzalo Ibarra, General Manager at Transport Consulting Solutions and Expert at ICAO for chairing this conference. A very big thank you as well to OPAIN for – apart from delivering a presentation – allowed us to join them on a site tour at the El Dorado International Airport in Bogotá. Last but not least, I want to thank all our sponsors: Smiths Detection, HID & Quantum Secure, Bosch, Genetec, Cyclone Technology, Optex, CGX, Vivotek, ACO, Senstar, Assa Abloy and attending specialists Avigilon, Schindler and NEC as well as supporting vendor TLD for their contributions to the event. During the conference, 28 eminent speakers shared numerous presentations and their visions with the delegates regarding airport planning and development, airport security, operations and technology. Both domestic and international experts evaluated current conditions, analyzed strengths & weaknesses and emphasized opportunities to develop the market further. I would like to start by thanking “The Project” for rejoining this year as Strategic Partner as well as the Department for International Trade of the British Embassy for officially supporting our event and being our Evening Sponsor. Furthermore I want to thank Mr. Jorge Romero García, Deputy Director General of Air Safety at the Secretaría de Comunicaciones y Transportes, Mexico for delivering the keynote presentation and Mr. Pedro Rubio, Airports Director at Airtec for chairing this conference. A very big thank you as well to Eric Moreno Mejía and the Grupo Aeroportuario de la Ciudad de México for – apart from delivering a keynote – allowed us to join them on a site tour at the project site of the new international airport of Mexico City. Last but not least, I want to thank all our sponsors: Johnson Controls, HID & Quantum Secure, Comex, IATAS, Bosch, Magirus, Eaton, Axis Communications, Ulma, Rosenbauer, Senstar, JBT, SAAB, Cyclone Technology, DF Nucleo, L3 Communications (via Provetecnia) and attending specialists Avigilon, Hempel, Piller, Genetec, Allied Telesis, Bureau Veritas, SICK, TRIMO and Samsung for their contributions to the event. 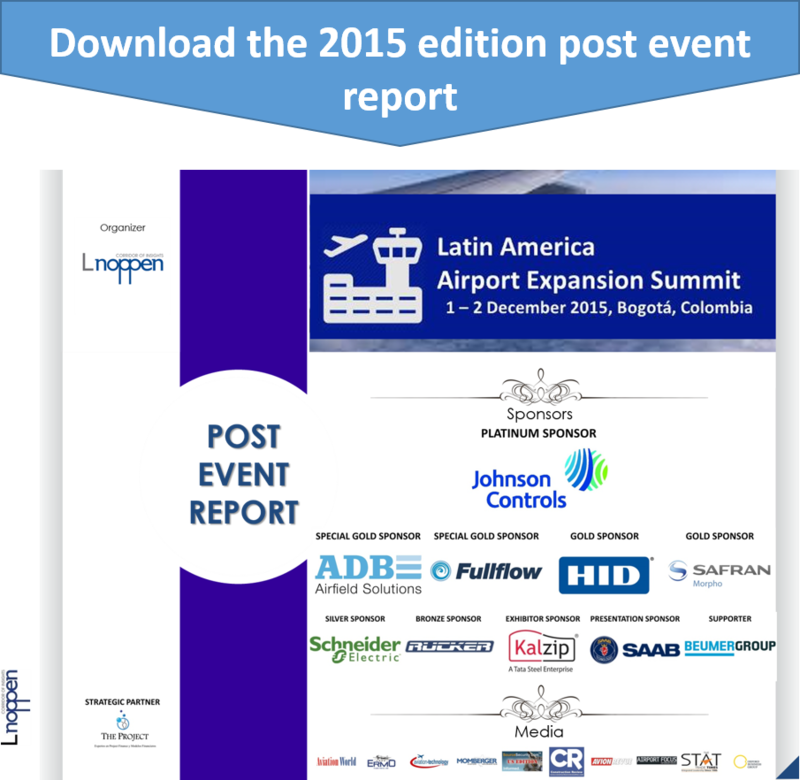 After successful airport summits in Asia, Europe and Africa, Lnoppen hosted the first Latin American edition on 1 & 2 December 2015 at the Wyndham Bogotá Art hotel in Bogotá, Colombia. 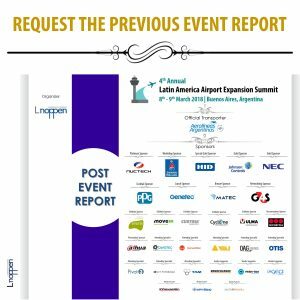 The Latin America Airport Expansion Summit featured 30 prominent industry leaders, providing informative and inspiring discussions pertaining to the current needs and the future development of the industry in the region. Airport authorities and concessionaires discussed with consultants, architects, equipment providers and service groups, in order to better explore the market and support project development. While there were a number of outstanding speakers at the event, a special thanks goes to the Chairpersons of the summit, Eduardo A. Flores from Interglobal Peru and Kristian Fallas from The Project. 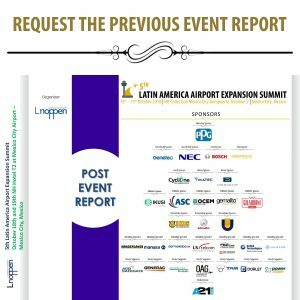 Noppen would like to express a special thanks to the sponsors of the Latin America Airport Expansion Summit: Johnson Controls, ADB, Fullflow, Safran Morpho, HID Global, Schneider Electric, Rucker, Kalzip, SAAB and Beumer for their contributions to the event.